Could Electrical Stimulation Offer Pain Relief? Many people suffering from pain can benefit from electrical stimulation. It may not seem logical that the use of electrical pulses can actually improve pain, but that is, in fact, the case. Electrotherapy or neuromodulation is the type of treatment available today. 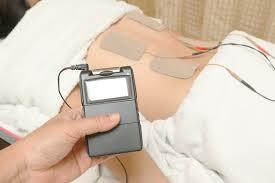 The most common form used to treat pain is TENS, or transcutaneous electrical nerve stimulation. For those who are experiencing pain and want a more advanced option that may allow you to continue to live a higher quality of life, turn to a pain doctor in New York to learn more about this. There are a variety of types of pain relief options that focus on electrical stimulation. Perhaps one of the most innovative, though not readily used as of yet, is deep stimulation at the depth of the spinal cord or brain. However, TENS tends to be an ideal option because of how effective it can be for many people suffering from pain. In short, it is a therapeutic tool for reducing pain. It centers around the use of a TENS unit, of which a variety of products now exist. This is a small and often battery operated device. Once put in place, it will create a low voltage electrical current. That current will run through your skin from the electrodes placed on the impacted area. Once this current runs through the body, it stimulates the impacted area. This helps to send a message to the brain. That message, in short, is meant to scramble the normal pain signals the brain receives from the area. In short, your brain no longer thinks that there is pain present and you feel better. TENS is not a painful treatment. It can be helpful in a variety of situations. It can help to mask the pain from diabetic nerve pain, for example. It is also often helpful with joint pain or pain that’s unexplained. In some situations, it is not the ideal solution. 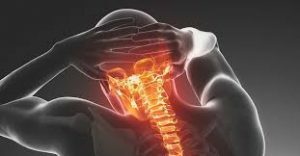 It is up to your pain doctor to determine if the specific type of pain you have can be helped with this type of treatment. 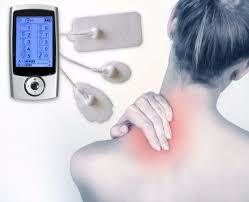 If you are experiencing pain, TENS and other electrical stimulation is not necessarily the first line of treatment. However, it can be a solution for many people. Work with your New York pain doctor to learn more about what you can expect from it.